“Hi to all ! Hope you’re in the mood for the Holiday Season, and thanks for joining us here at my friend Travis’ Site ! What you’ll hear right now is one of the most informative pieces on Sectioning that you’ll ever find ! 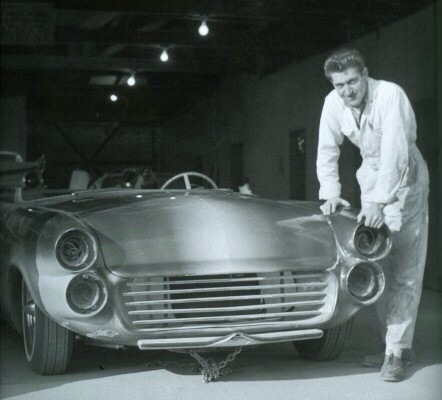 THE LEGENDARY GENE WINFIELD , has chopped many tops through the years, but the first car he ever sectioned was a ’56 Merc ! This is a cool Interview, and you won’t want to miss Gene’s stories…not only about the Jade Idol, but about his own chopped & sectioned ’58 Impala ! To listen, Just-Click-On-Here ! Thanks again for joining us here…and be sure to check-out some of the GREAT Merch available: for you…or one of your friends ! Previous PostPrevious Kustom Kulture Art For Christmas!